We're all guilty of having beauty products in our stash that have been neglected or even ignored. 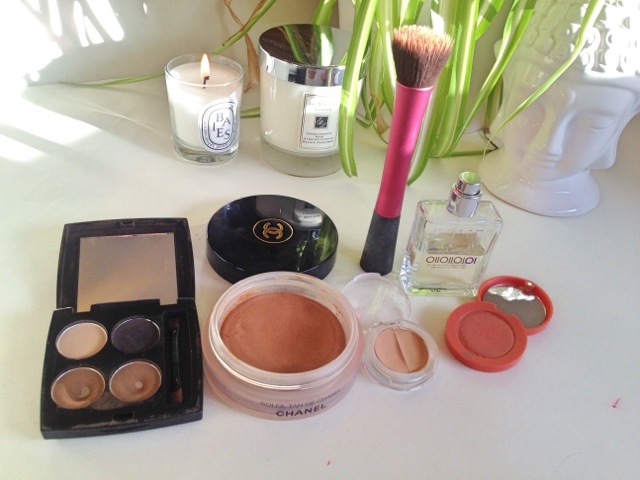 I've recently discovered some old favourites that have found their way back into my daily make up routine. Soleil Tan de Chanel has been one of them. I bought this last year and wasn't overly impressed with it at the time. It had been hyped up so much that I was expecting this wonder product to change my life when, in fact it was rather disappointing. One main reason why I didn't like it too much was I found it too light for my skin. I'm an avid fake tan wearer and when I have it on this doesn't show up at all on me. Now the cooler months are here and we're not quite into spring I haven't been tanning as much and found this to give a subtle sunkissed glow. I'm still not sure if its worth the £31 price tag but I'm enjoying using it. As most of you know I LOVE eyebrows (I know a little weird!). I tend to mix up by brow products, I'm either using my illummi Eyebrow palette , Soap and Glory's Archery or Mac's charcoal brown, so I forgot about the product that started it all off for me. My unnatural obsession with brows started when I received the HD Brow Palette in a glossy box. The colours are perfect for me but what I really love is the angled brush that comes with it. Its much finer than my Mac 263 angled brush, I find it fills my brows in quickly and with more precision. 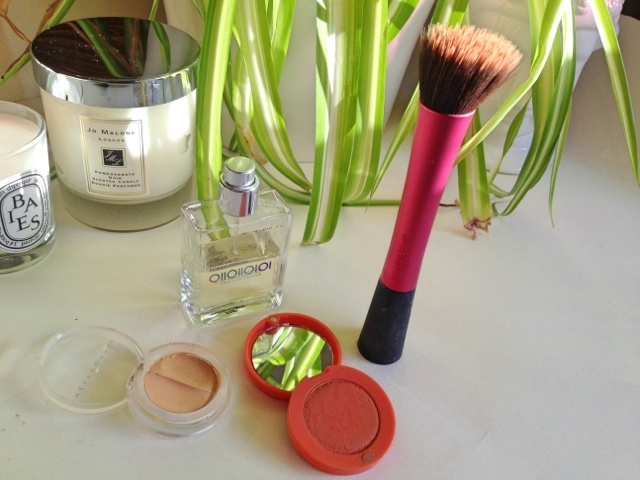 Bourjois cream blush in shade 2 "Healthy glow" has made a come back into my life. The sun has been shining on some odd days here in England so I've found I'm ditching the deep rich winter blushers and going for the coral colours that I was loving last year. I apply it with my Real Techniques Stippling Brush which I can't say I've used at all these last 4 months or so. I love how this blends in cream products, one dab into the blush then popped onto my cheeks and your good to go. Its so quick and easy. I don't really like to apply my foundation with it, the buffing brush is my brush of choice for that, but as for cream blushers, it's perfect! Sheer covers concealer duo has once more seen the light of day. I forgot how damn creamy this concealer was, it can almost pass as a cream foundation. 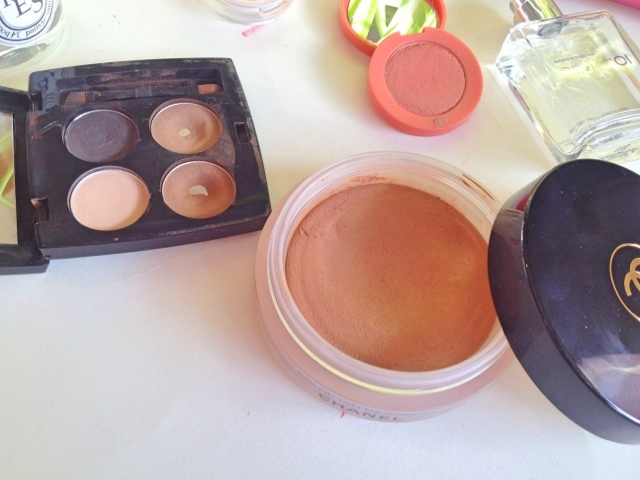 Its super easy to blend and gives fantastic coverage. I've been using this on good skin days and lazy days as my base product of choice. I just pop a bit on any imperfections, under my eyes, and boom, I'm done. 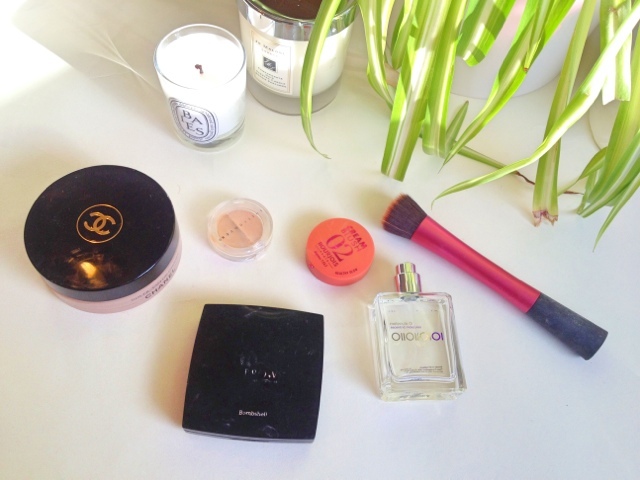 Have you discovered some old favourites recently? I love brows too, we always have a running joke that it doesn't matter if anyone is late because I can't go anywhere without my eyebrows on! OMG we are so similar. Bought the Escentric Molecule perfume on all the hype and it's sitting unloved, maybe used once! I am also obsessed with brows so we can be little weirdos together!! !